From the UK "Guardian" newspaper letters page, 18 September 2006. The new Pope, Benedict, had just quoted an old Byzantine text written by Emperor Manuel Palaeologos around 1400 to claim that aspects of Islam were "evil and inhuman". This was my response. The row over the Pope's quoting of the words of Manuel II Palaeologus has missed the context in which the emperor was speaking (Report, September 16). Manuel presided over the disintegration of the Byzantine domain, crushed between the competing powers of the mercantilist adventurism of the Catholic west and the equally expansionist ambitions of the Ottoman Turks who, through assumption of the caliphate, claimed the leadership of the Muslim world. Their sultans repeatedly justified the assault on Byzantium by quoting a (subsequently largely discredited) hadith (saying) attributed to the Prophet Muhammad, which predicted the conquest of the Byzantine capital, Constantinople, by a jihadist army. Little wonder Manuel was so reticent about Islam, and yet he had little inclination to celebrate Catholicism either. 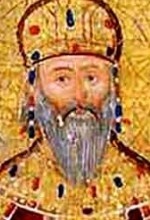 Manuel's civilisation was almost unique in the 14th-century Mediterranean world in eschewing any concept of holy war - the Orthodox church refused communion to Byzantine soldiers who killed in battle - and it was this among other religious differences which led to the Catholic church preaching crusade not only against the Muslims, but against the Byzantines as well. If it was the Muslim Turks who finally ended the Byzantine empire by capturing Constantinople in 1453, its demise had been rendered largely inevitable by the earlier sack of the city and the dismemberment of its territories by the troops of the Catholic fourth Crusade in 1204. In this context, Manuel's criticism of the jihadists of his days was matched by similar Byzantine criticism of the Catholic church's commitment to impose its particular form of Christianity by force. The Ottomans, in contrast, were tolerant of their Christian subjects, although later waves of Islamist fundamentalism were to change this. The irony of the debate today is how Manuel's exasperation so resonantly echoes the sense of anger and futility felt by many of all faiths at those in both the Christian and Muslim communities who, while worshipping the same God, hijack both faiths by seeking to justify violence against each other in the name of that same God. One might have hoped, after five centuries, that the world might have moved on. Foot note: one of Manuels' Ministers, Lucas Notaras, famously stated, when asked to choose between Islam and Catholicism that "Rather the Sultan's turban than the Bishop's Mitre."